Surfing Heritage & Culture Center: George Bernard Shaw, surfer? 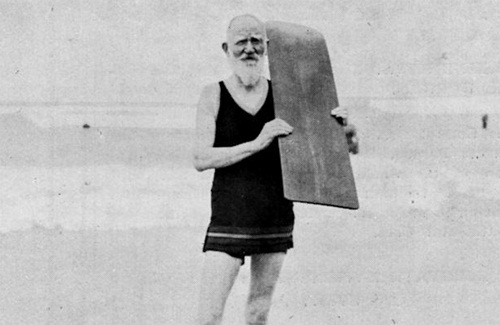 George Bernard Shaw surfing at the Muizenberg beach at the age of 75. Little did we know. Add him to the literary surfing ranks alongside Samuel Langhorne Clemens (AKA Mark Twain) and Jack London.